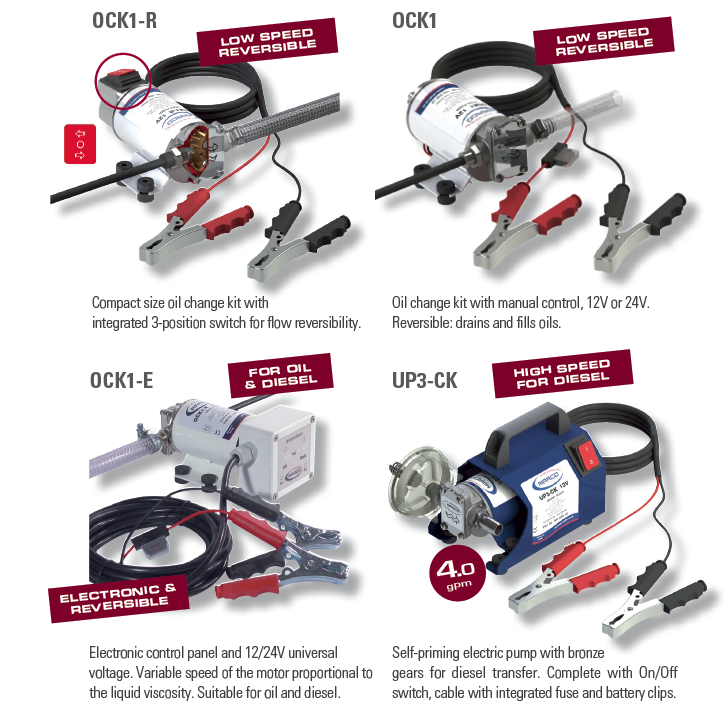 Compact size oil change kits. Easy to operate and carry. Reversible: drains and fills oil and diesel. Complete with bronze gear pump, clips, fuse, hoses and accessories.